“Should have been taken back in the late '70s”, a statement made from 58-year-old Mac Henderson himself, in an interview with police last year. Henderson was arrested in December of 2018 on two counts of lewd conduct with minors. 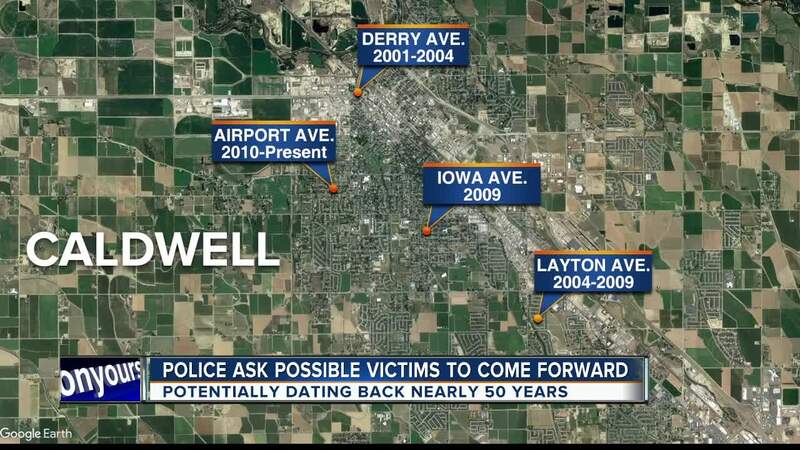 Now, with reason to believe there may be more victims, Caldwell Police is working with multiple agencies across the Western United States asking people to come forward. "A recent interview with Mr. Henderson revealed to investigators that there may be more victims in Caldwell," said Sgt. Damon Rice with the Caldwell Police Department. Police say Henderson himself told them he has been molesting kids for a while, mostly family members. But police are concerned there may be Idaho victims potentially back to the year 2001 when Mac Henderson moved to Caldwell. "We just went back and looked at all of the addresses he lived in Caldwell, and that's where we're going to start," said Rice, who also said that there are four different residences Henderson lived in across the town. He hopes that by listing street names and time frames, it will jog memories of anyone who might have information. Those residences are listed as Derry Avenue from 2001 to 2004; Layton Avenue from 2004-2009; Iowa Avenue in 2009, and Airport Avenue from 2010, up until he was arrested in mid-December of last year. "They may not know they have information, but I just want to get this information out there to the public, so it can trigger some memories," said Rice. Rice stated that the Caldwell Police Department will be forwarding their case over to the other states as well. If you have any information related to this case, Caldwell Police asks that you call them at 208-455-3115 or contact Crime Stoppers at 208-343-COPS.